A number of luxury vehicles are making their way into Guyana with no records to show who they belong to. This was confirmed yesterday with Commissioner General of the Guyana Revenue Authority (GRA), Godfrey Statia. He said that the problem was detected a few months ago but it was larger than anticipated. 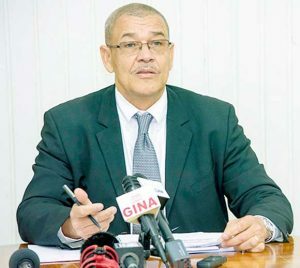 The GRA Commissioner General said that these vehicle issues are further compounded by re-migrants who continue to abuse their duty free concessions. The Chartered Accountant said he will be recommending to the Finance Minister that there be a change to the system of granting duty free concessions to re-migrants. Statia is of the view that duty free concessions should be given to individuals with skills and or those who left to study and wish to return to Guyana to invest in building the country.